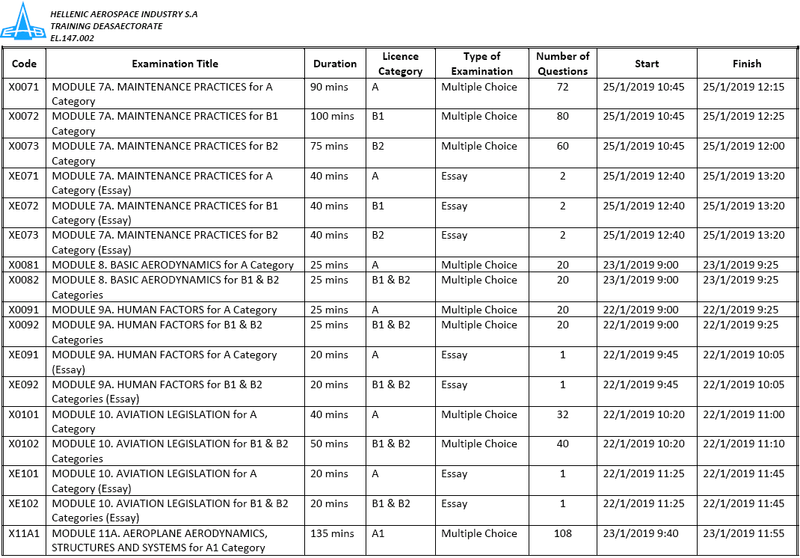 Hellenic Aerospace Industry has established a well organised Maintenance Training Organisation under the Training Directorate, since 1977. 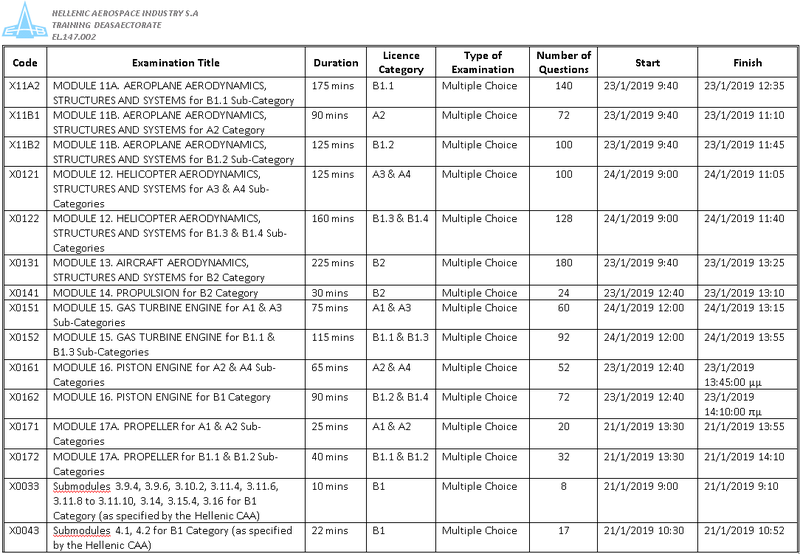 HAI currently holds EASA Part 147 approval to conduct training and examinations in order to meet the requirements of the EASA Part 66 Aircraft Maintenance Licence in all currently available categories. 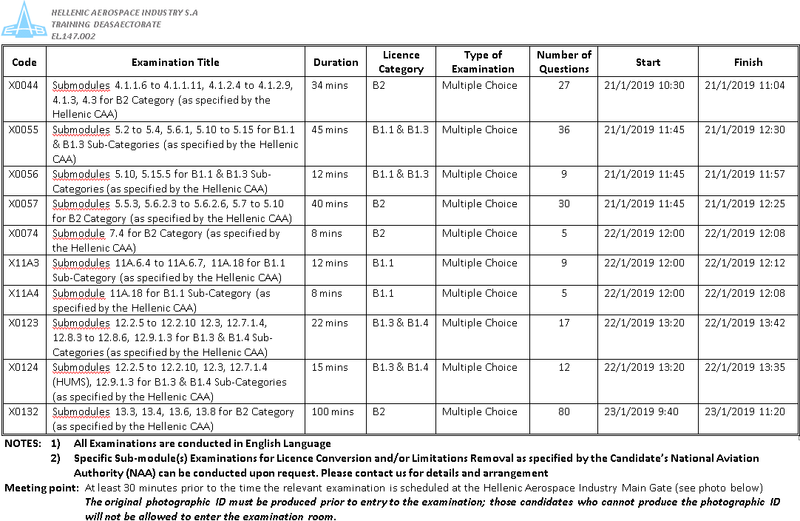 The new Examinations Timetable is available. 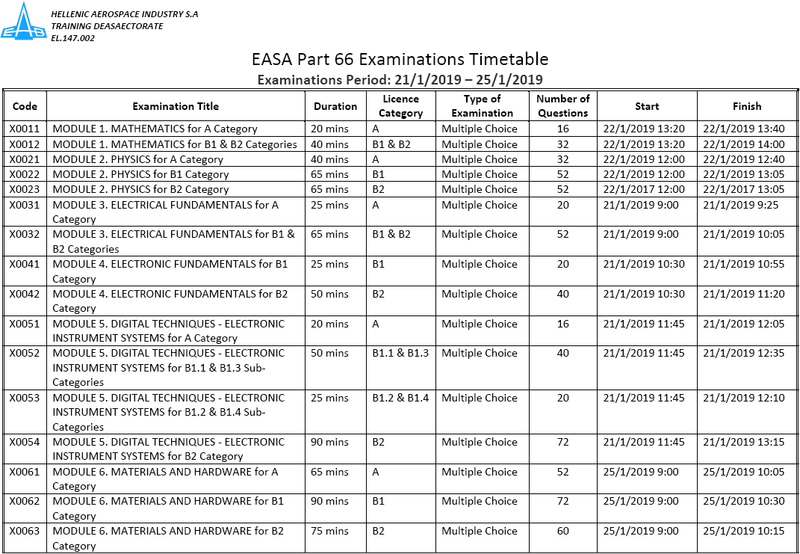 The Examination Timetable including the exact dates and time schedule for each Module is available for download and it will be regulary updated to reflect the ongoing Examination Period. Copyright © 2018 Hellenic Aerospace Industry - All Rights Reserved.